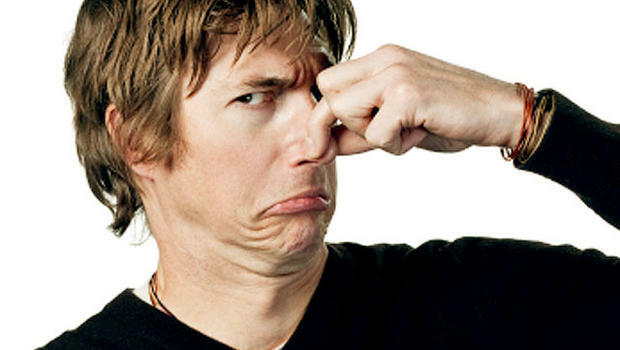 Foul smell in the nose is a problem affecting a considerable number of people in the society. Unfortunately, many are afraid of sharing the problem with their friends and family. You may be experiencing this problem, mainly characterised by a rotten flesh-like smell coming from the nose. In some patients, the smell is accompanied by pressure above the temple and ear area on the left side. Some patients have tried using nose spray to solve the problem, but it did not work. To solve the issue, some patients have even tried catarrh capsules and Actifed tablets. These two may solve the problem temporarily, but it will surely recur. What Causes Bad Smell in Nose? There are various things that may lead to a funny smell in nose. Mentioned here are some of the causes. It can be caused by obstruction of the nasal cavity by foreign objects, such as food particles that have been lodged in the nasal cavity. Such objects obstruct the normal drainage and airflow in the nose, leading to the bad odour. Food may get lodged in the nasal cavity while vomiting. This food will then deteriorate gradually leading to the bad odour. Do not probe at the lodged object, either using a cotton swab or any other tool. Avoid inhaling the object by breathing in forcefully. If only one of the nostrils is affected, close the nostril that is not affected and blow out gently through the blocked nostril. If the object is visible from the outside, attempt to remove it gently with a pair of tweezers. If all these methods fail, you should seek immediate medical attention. While snoring, the mouth is usually open. This results in loss of moisture from the tongue and palate. This will also impair the production of saliva in the mouth. As such, it interferes with the ability of the mouth to naturally clean itself, hence creating an ideal environment for bacteria to increase. Bacterial action will then lead to a bad smell in the nose. Snoring may be a result of congestion in the nasal passages. As such, you should try to clear the nasal passages before going to sleep. You should also keep the bedroom humid and moist as dry air can easily irritate the interior membranes in the throat and nose. Again, you should avoid having heavy meals and caffeine at least two hours before bedtime. Sleeping on your side, rather than on your back can also help reduce snoring. Post nasal drip is a discharge from the inside of the nose. The discharge is rich in proteins. When this discharge gets to the back of the mouth, it is acted upon by the bacteria, which naturally exist in the mouth, resulting in this bad smell in nose. Post nasal drip will cause an irritating feeling in the throat. This, in turn, triggers a cough, which normally worsens at night. Additionally, the presence of this post nasal drip will make you feel uncomfortable, making you clear your throat every now and then. The drip may also lead to a sore throat or make the throat feel hoarse. Different treatment options may be used, depending on the cause of the drip. If the drip is caused by viral and sinusitis infection, decongestants may be used. However, if it is caused by bacterial infection, antibiotics will be administered. If the post nasal drip is a result of an allergic reaction, you may need to use nasal sprays along with steroid medications. This is a condition that occurs when the mucus membrane on the sinuses is infected, inflamed or irritated. This is normally caused by a viral infection, such as colds, and results in over secretion of mucus in the sinuses. This mucus gets trapped within the sinuses and attracts bacteria. The bacteria act on the mucus, multiply and produce waste products, usually containing noxious sulphur. This is what causes the bad smell in nose or halitosis. Some of the most common sinus infection symptoms include fever, headache, pressure or pain and facial tenderness. Other symptoms associated with this condition are: a stuffiness sensation in the nose, cough, sore throat as well as a cloudy and discoloured discharge from the nose. Various home remedies may be used to treat this condition. For instance, you may use salt water to wash the nose. This clears the mucus and limits bacterial growth in the nose. The application of moist heat to the face may also help ease the discomfort associated with the condition. In the event that you are diagnosed with chronic sinusitis, the physician may prescribe antibiotics and steroid drops or sprays. These go a long way in reducing the swelling inside the nose. Polyps are essentially, non-malignant tumours growing from the interior lining of the nasal cavity. The growths obstruct the cavity, blocking drainage in the nose and lead to congestion. This attracts bacteria, which then proliferate, leading to infections like sinusitis. This may also lead to smell in nose. Treatment for this condition is aimed at reducing the size of the polyps or eliminating them completely. During the initial stages of the condition, medications, such as nasal corticosteroids, may be administered. In other cases, a surgical removal of the tumours may be required. Also referred to as atrophic rhinitis, ozena is an infection in which the mucous membranes and the bony ridges of the nose waste away. A nasal discharge and crusting accompanied by a bad smell in nose are the common symptoms of this disease. It may be a result of a continued nasal swelling. Since the actual cause of this condition is not clearly known, treatment options are aimed at treating the symptoms. To inhibit bacterial growth in the nasal cavity, the physician may prescribe nose drops containing glycerine and glucose. You may also flood or irrigate the nasal cavity with a sodium bicarbonate or as sodium chloride solution to minimise bacterial action. The doctor may also prescribe antibiotics coupled with other medications for this condition. This is an infection of the nasal cavity, caused by the Klebsiellarhinoscleromatis bacteria. Bronchoscopy, coupled with long term antimicrobial therapy, is normally used for the initial treatment of the infection. A surgical operation may also be necessary if the patient shows symptoms of cavity obstruction. If the infection is advanced, the physician may recommend third-generation clindamycin and cephalosporins for the infection. This is the inflammation of the adenoids resulting from a bacterial or viral infection. It may also be caused by an allergic reaction. This may either obstruct the nasal cavity or lead to a purulent discharge, causingbad smell in nose. The condition is accompanied by an underlying medical condition like cancer.